Buzzflow CRM, has achieved an extraordinary milestone, acquiring 100+ customers within a span of 12 months. The Company was founded in mid 2017 by Suren Pinto and Surajee Ratnayake, and this achievement comes with the announcement of new additions to the CRM service that has been better curated and tailored to the Sri Lankan market. Some of these new features include scalability, which is an added advantage for medium to large companies, and ease of use for sales forces to intuitively use the CRM in the long run. This ensures better productivity and efficiency of the lead-to-sale process and is an upgrade to the mobility feature which ensures online access to the CRM while on the move. The extensive reporting dashboard enables managers in quick decision making and inside sales intelligence. “We have identified that most businesses in Sri Lanka struggle because of the lack of discipline in the overall lead management and sales follow-up process. This is not because of limited opportunities in the market or because Sri Lankans are not conducive to challenging business environments. While these factors are important and do affect sales, , the controllable elements inside the business depends entirely on the strength of a company’s ability to deliver on sales. 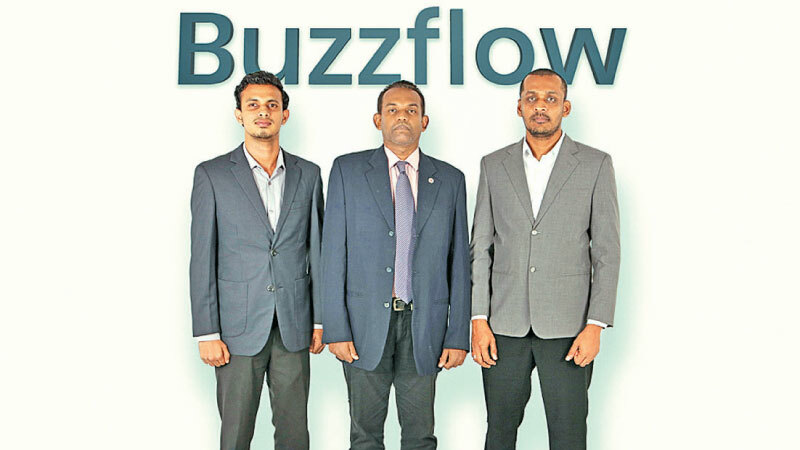 At Buzzflow CRM we assist businesses to succeed by enabling companies to take advantage of market opportunities and better managing their entire sales pipelines, while allowing the CRM to guide in better decision making to enable a more sustainable and effective sales process,” said Buzzflow CRM COO Surajee Ratnayake. To celebrate its success, Buzzflow CRM has also launched a new website and will occupy new office premises in the heart of Colombo by the end of the year. Ratnayake also commented, “Buzzflow CRM is not just another CRM software, it is a tool for sales teams to tap into its fullest potential. Combining our extensive engagement with multiple teams and organisations, we have gained a wealth of understanding of the needs of the Sri Lankan market. As such, we are able to identify the multiple pain points of various sales teams and reinforce Buzzflow CRM to stand the test of any level of intensity and requirement”. Having taken time to comprehend the pressing issues pertinent to the Sri Lankan sales landscape, Buzzflow CRM also intends to put together a series of initiatives to productively engage with sales professionals. Buzzflow CRM intends to engage more with the sales communities through knowledge sharing sessions across industries which will be both accessible and useful in driving the performances of any aspiring sales team in the country.